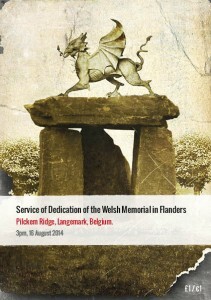 The dedication and unveiling ceremony is the culmination of several years campaigning and fundraising by the Welsh Memorial in Flanders Campaign Group for a lasting memorial to the services of Welsh men and women during the First World War. 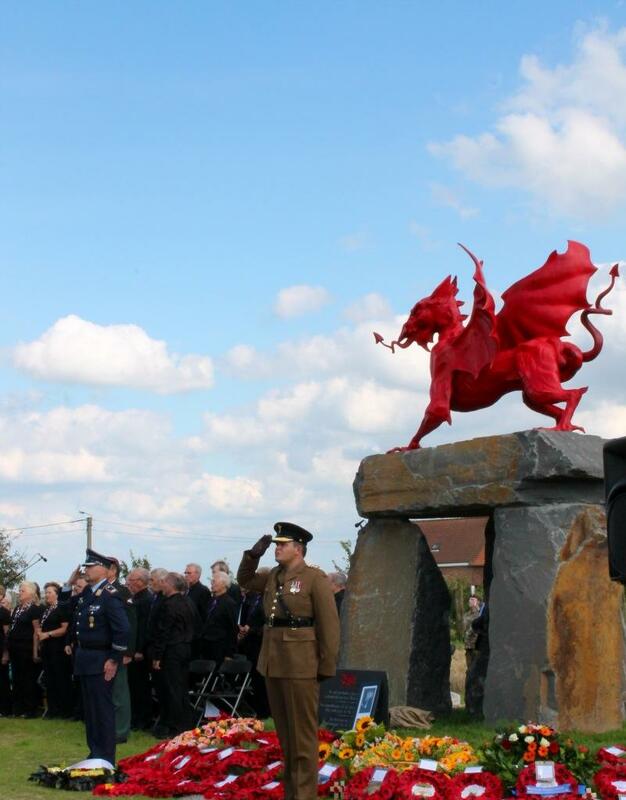 The memorial is comprised of a cromlech made of four Welsh Blue Pennant stones from the Craig yr Hesg quarry near Pontypridd and surmounted by a red bronze dragon, designed by Welsh artist Lee Odishow. 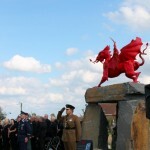 The Welsh Government has supported the Campaign Group’s efforts from the outset and has agreed to underwrite a shortfall of up to £25,000 in the funding raised for the memorial by the Campaign Group in Wales and Flanders.